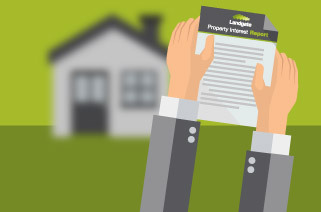 View more of Landgate's imagery collection. Perth’s first court building was officially opened on 24 March 1837 and is officially Perth’s oldest surviving public building. Constructed in the Georgian architectural style using limestone rubble and slate roof tiles, it is located to the east of the Supreme Court building. 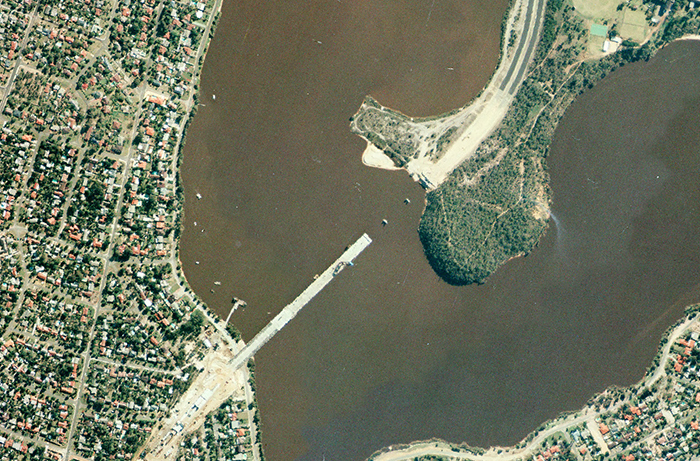 When constructed, it sat immediately adjacent to the original Swan River shoreline, which indicates the extent of land reclamation in the past 161 years. 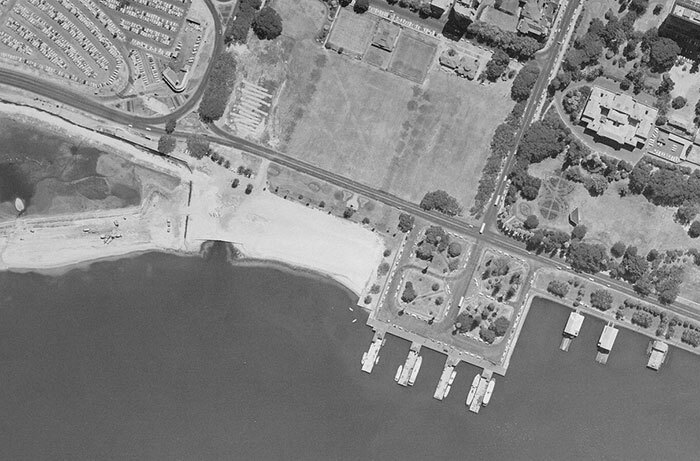 Apart from the development at Elizabeth Quay, use the scroller to see how little has changed since 1965. 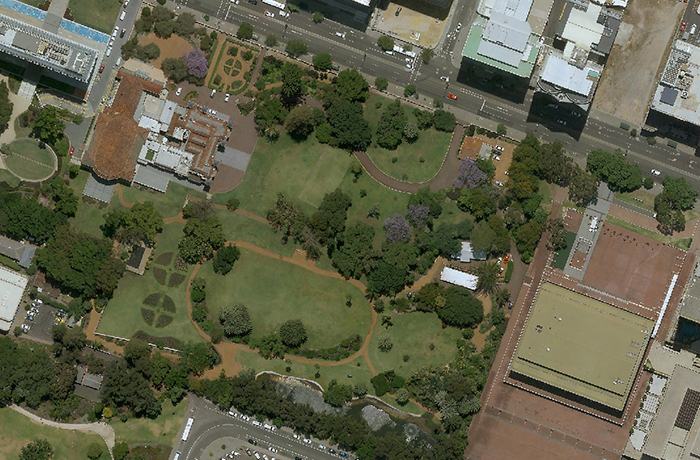 March 17 marks the anniversary of the laying of the foundation stone of Government House in St Georges Tce in 1859. 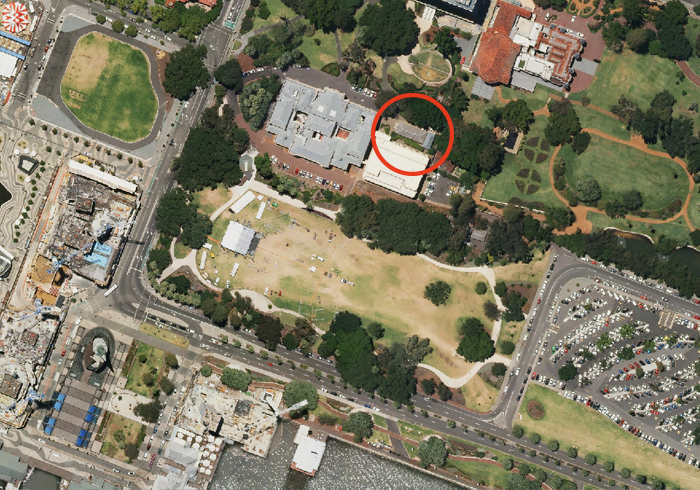 The original Government House – located 150m NW of its current position, was built on the site where Captain James Stirling and his family initially lived during the Colony’s formative years. 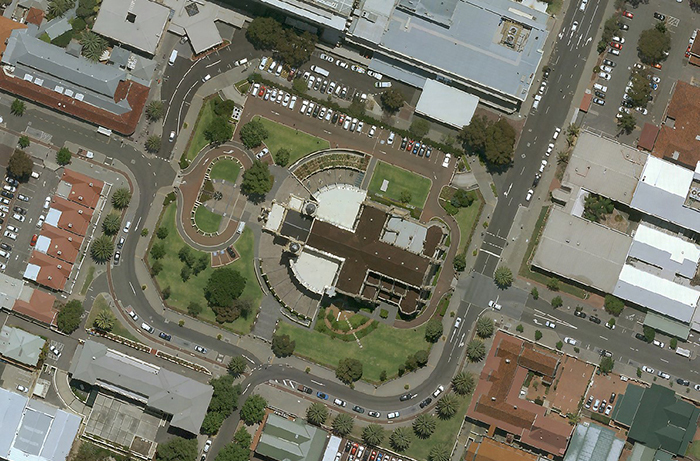 That spot is now known as Stirling Gardens. Government House, the official residence of the Governor of Western Australia, was built largely using convict labour, and completed in 1864 at a cost of £15,000. The State Ballroom to the west was added in the 1890s. 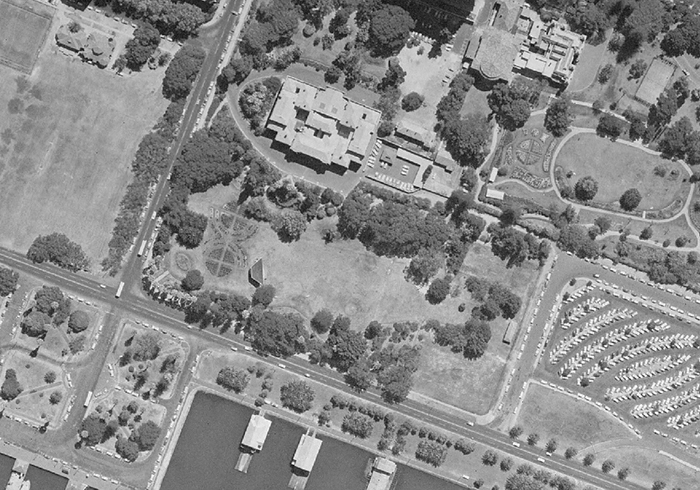 Use the slider to see the changes around Government House in the last 50 years. 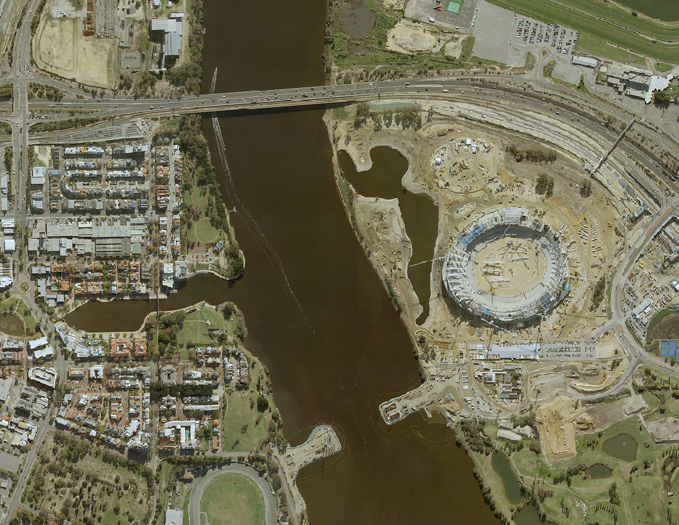 WA's own Australian Grand Prix race track 1957 to now. 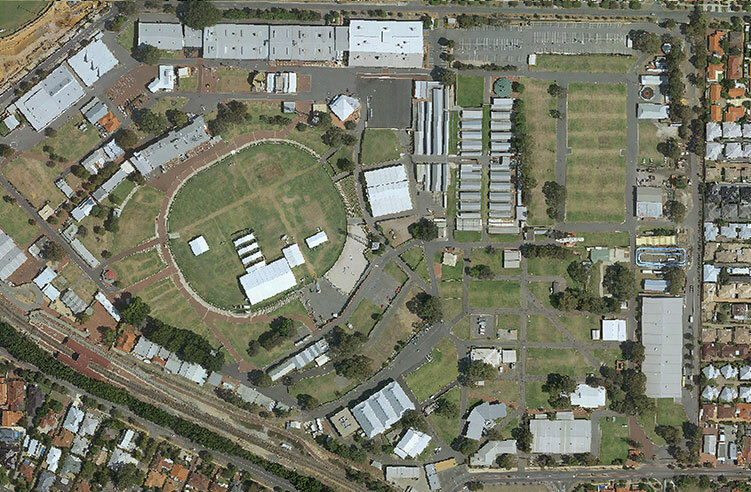 This weekend marks 61 years since the running of the Australian Grand Prix, held in Caversham, WA. This event in 1957 was hosted by the WA Sporting Car Club and significantly, was the first ever round of the Australian Drivers’ Championship. 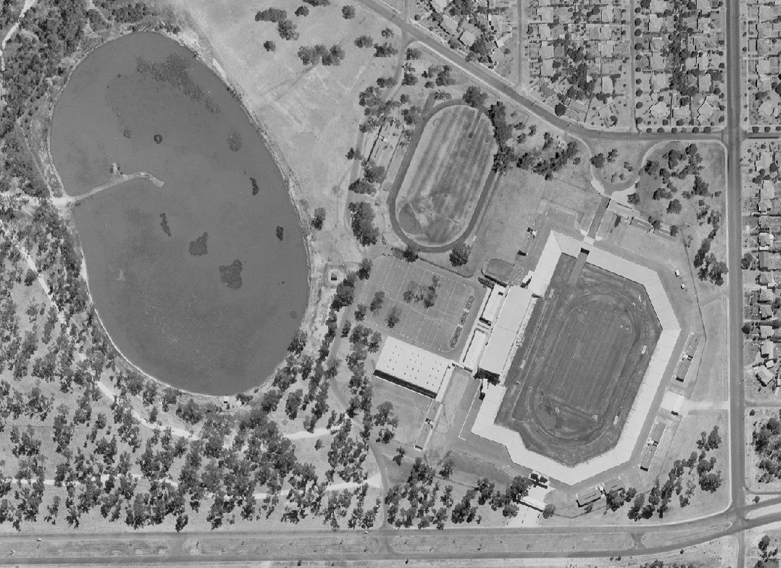 The track now lies largely forgotten in Perth’s north-eastern suburb of Brabham – appropriately named after Australian F1 legend, Jack Brabham who finished in 3rd place on the day. Use the slider to see the changes from that era to the present day. 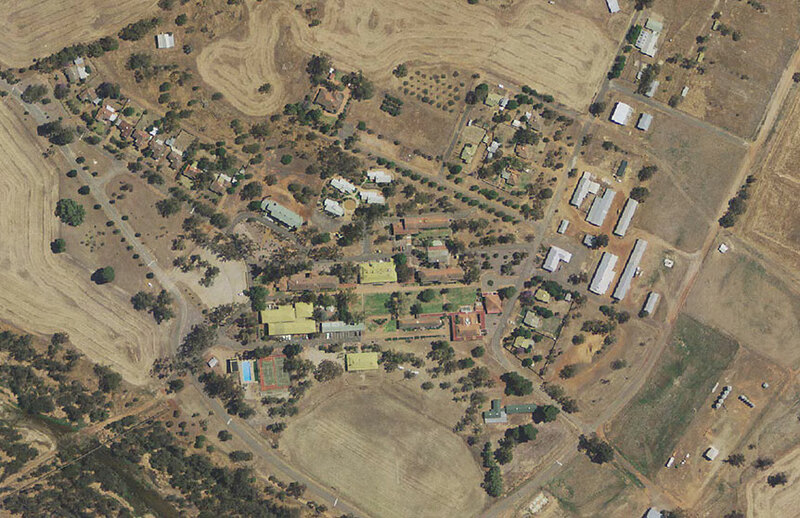 Use the slider to see the changes to the school site from 1953 to the present day. The foundation stone of St Mary’s Roman Catholic Cathedral was laid on 8 February1863. The site was originally set aside for a Church of England cathedral, however early Anglicans deemed the location ‘too far from the town centre’ and ceded the land to the Catholic Church in 1859. Since its official opening in 1865, it has undergone two major renovations– the most recent completed in 2009. Use the slider to see the changes since 1953 up to today. 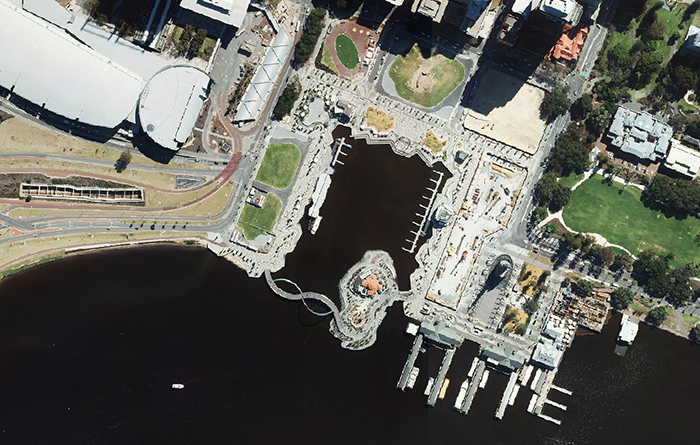 We can’t believe that it’s been 2 years already since the official opening of Elizabeth Quay. In that time, we have seen the ongoing transformation of the area into a truly mixed-use development, with the construction of the new Ritz Carlton Hotel on the eastern side already up to the 9th floor. This is the first of many proposed new buildings which will include 1,700 residential apartments, 150,000m2 of office space and 40,000m2 of retail space when complete. Slide between 1965 and the modern day to fully appreciate the changes over the past 50 years plus. After 62 years of faithful service to the local residents and tourists alike, the old wooden Mandurah Bridge has finally been replaced. 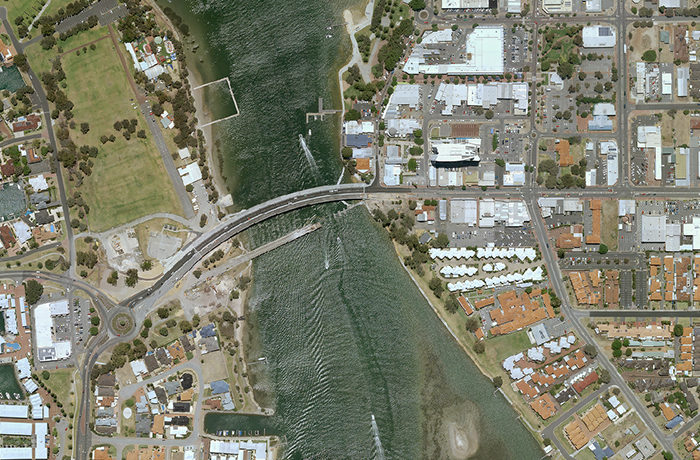 The new bridge was opened in late 2017.It was built in a time when Mandurah was considered to be a holiday destination with a much smaller permanent population, but by 2013, it was apparent the two lane structure was insufficient to cater for the increasing resident population. 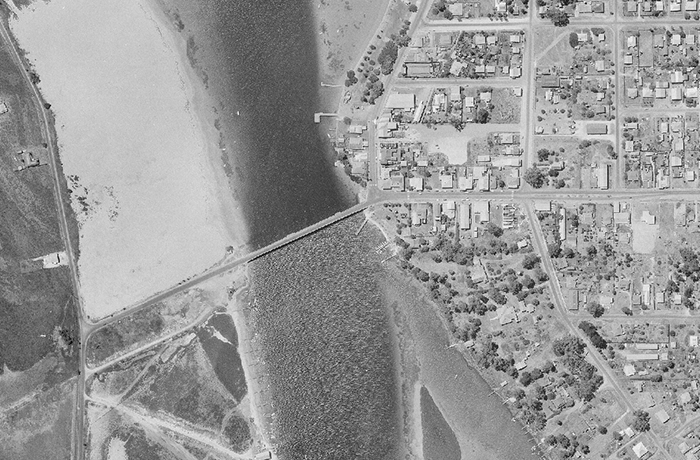 The old bridge will be demolished, but a section will remain as a feature within the water on the west of the estuary.Slide between the Mandurah of 1960 when the bridge was relatively new, and Nov 2017 to see the changes the town has undergone. 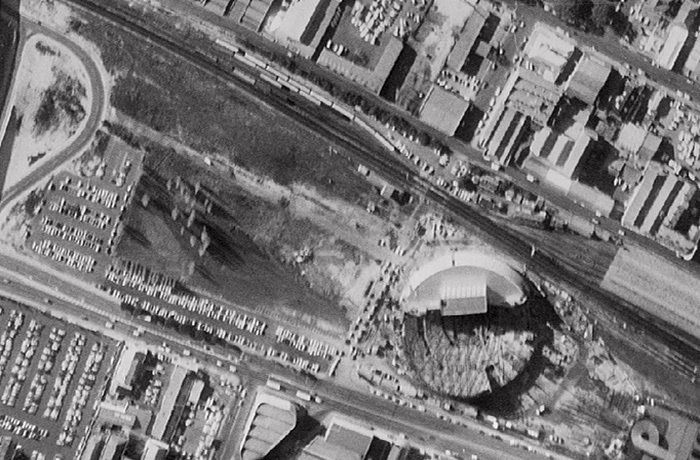 Perth’s first purpose built 8,000 seat entertainment centre was officially opened on this day in 1974. The Perth Entertainment Centre was the city’s principal concert venue up until its closure in 2002. During that period, it was also the home of Lumiere cinema (which closed in 1996) and hosted the world’s biggest musical acts such as Wings, Queen, AC/DC, ABBA, David Bowie, Elton John, the Police, Janet Jackson and Robbie Williams. It was also home to the Perth Wildcats and Breakers basketball teams, as well as the focus of global attention for the Miss Universe in 1979. 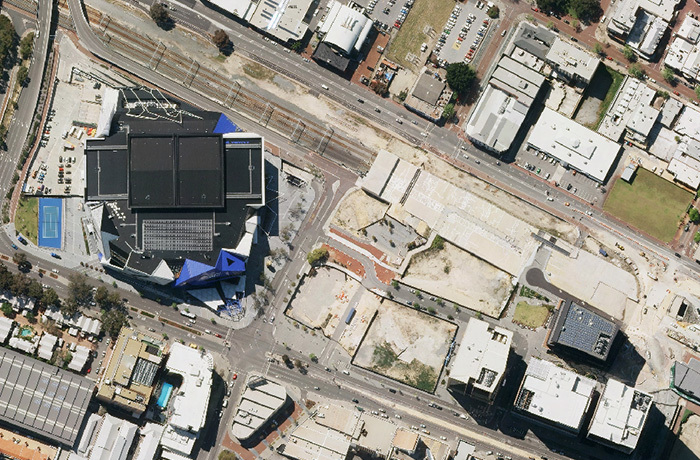 It was eventually demolished in 2011 and replaced by the Perth Arena immediately to its west. 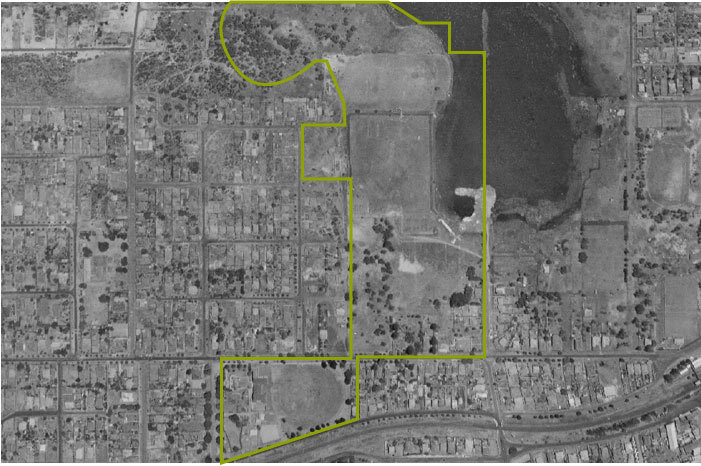 Its location now forms part of the multi-billion dollar City Link Project which saw the sinking of the railway line to reunite the split city for the first time in over 100 years. Use the slider to see how things have changed since the 70s. 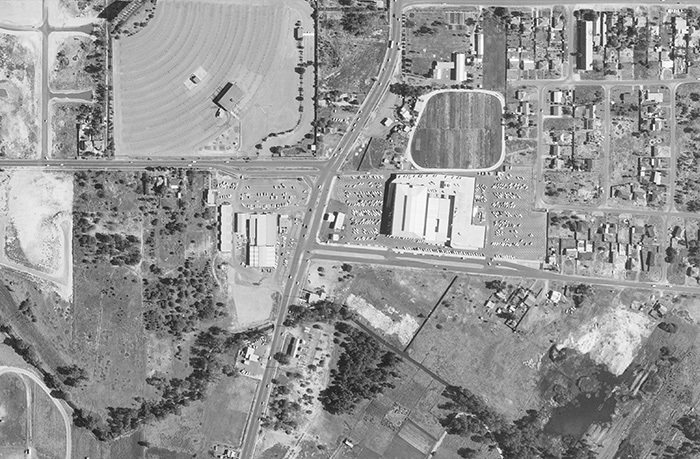 This week marks the 50th anniversary of the opening of the Innaloo Shopping Centre – now known as Westfield Innaloo. 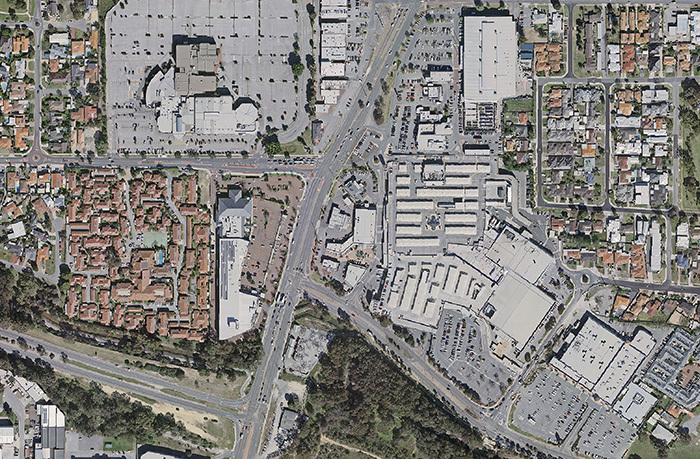 At the time, it was the largest shopping centre in WA covering over 11,500m2. Initial shopping drawcards included a Boans, a Woollies and an R&I Bank with a drive through window – even then! In a bid to promote the complex and attract customers from its nearest rival, (at Floreat Forum) celebrities from around the country were regularly invited to ‘meet and greet’ the locals. These included the likes of Johnny Farnham, Graham Kennedy, Don Lane and boxer Lionel Rose. Use the slider to compare the extent of urban and commercial developments from 1968 to 2017 and the disappearance of the iconic Metro Drive-in. 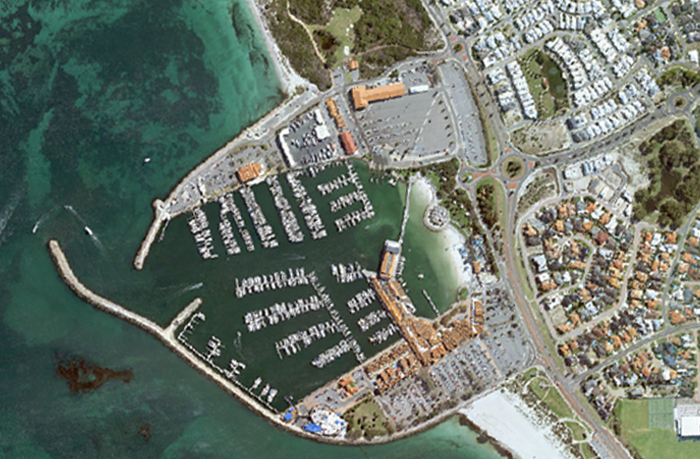 This month marks the 31st anniversary of the opening of Hillarys Boat Harbour. 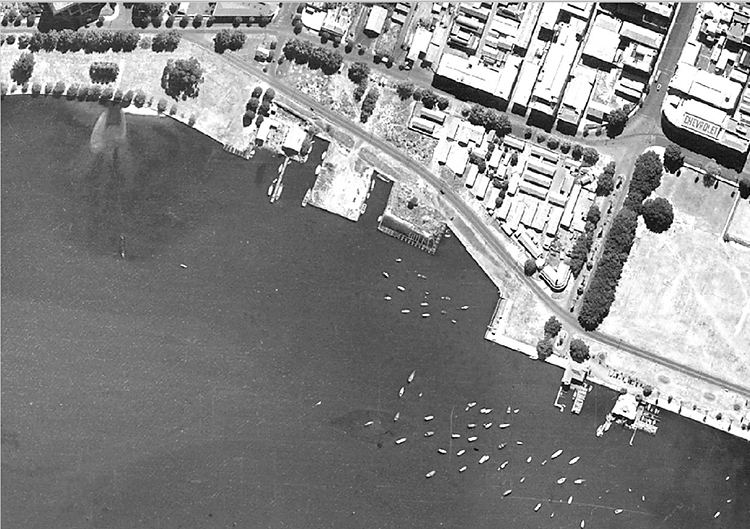 At the time, it was promoted as Perth’s premier harbour and tourist precinct. 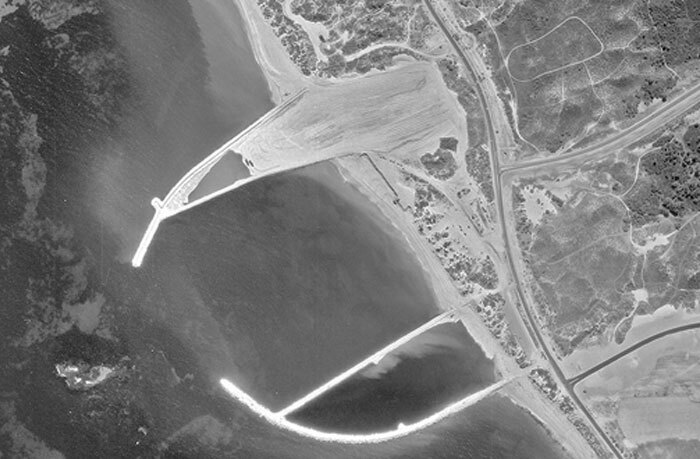 Construction of the harbour began in September 1985 with the boat launching facilities opened to the public in October 1986. 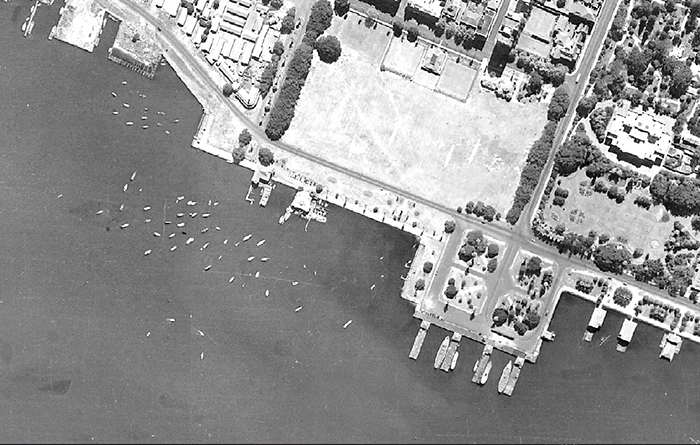 Boats started moving into the pen moorings two months later – just in time for the 1987 America’s Cup defence. 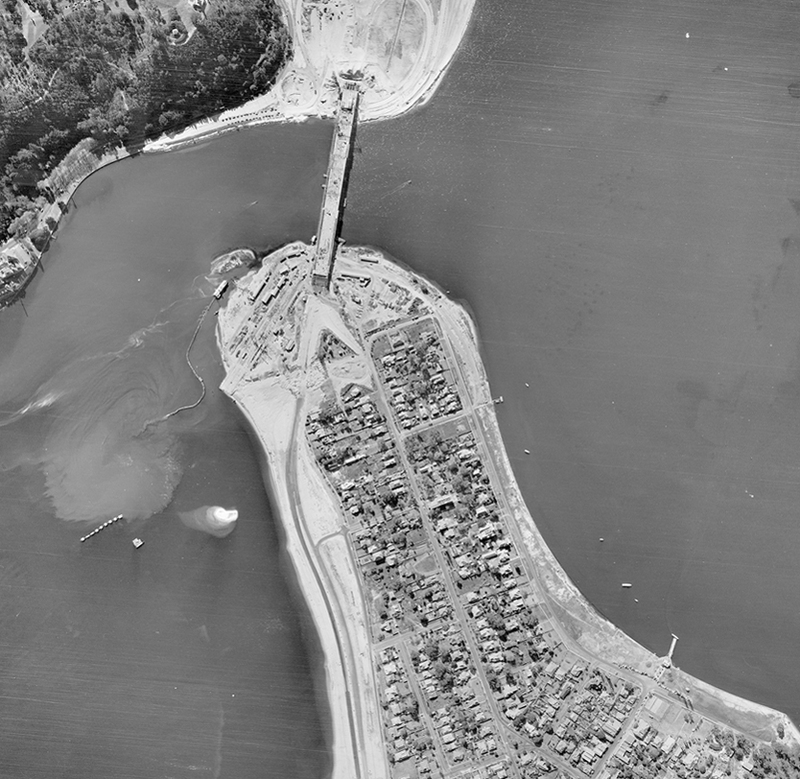 Use the slide to view the harbour whilst under construction in early ’86 and compare it to the current day. 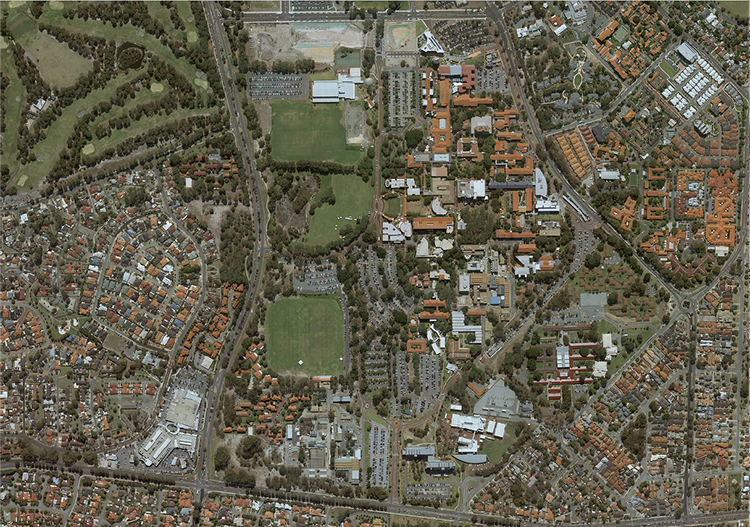 Take a trip down memory lane or sideshow alley with Landgate aerial imagery. Look back on the Claremont Show Grounds 31 years ago when the Wild Mouse was the most extreme show ride on the planet and there were no show bags over $100. 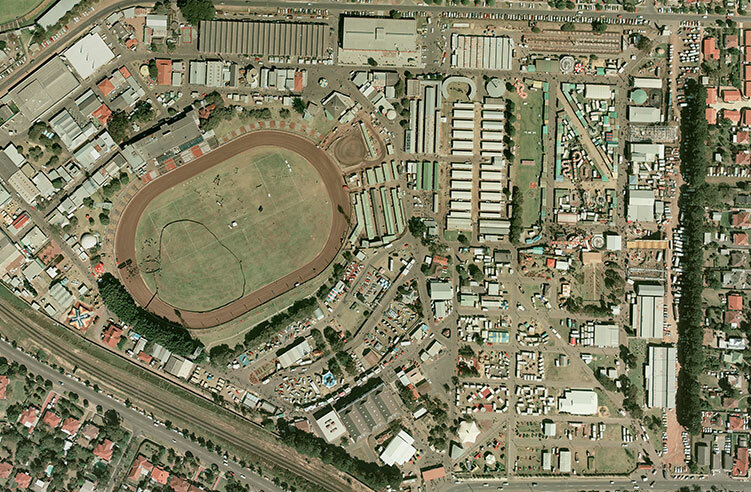 Slide over to now to see how much the show grounds have changed over the years. This month marks the 13 year anniversary of the official opening of The Perth Convention and Exhibition Centre. 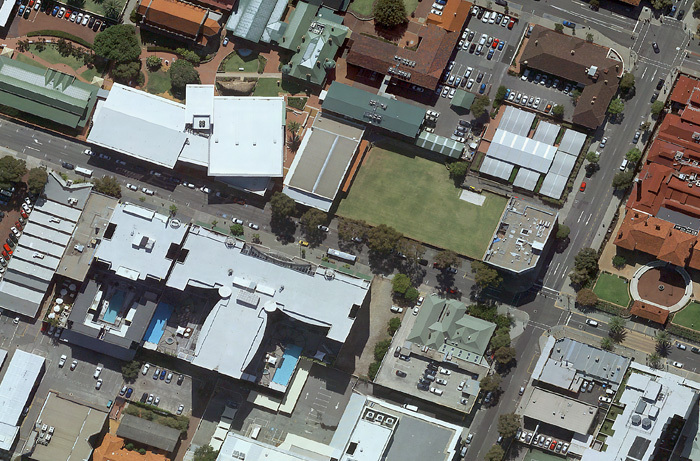 The Perth Convention and Exhibition Centre is Western Australia’s only dedicated convention and exhibition facility. 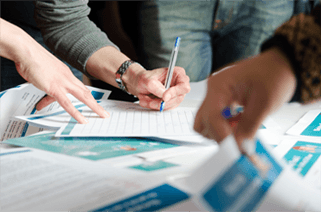 It encompasses exhibition pavilions, a tiered theatre, banquet/ballrooms and conference facilitles, attracting up to 900,000 people each year at major events such as Telethon, Perth Bridal expo, Perth Home show, Perth Motor show, and the Good Food and Wine festival…. 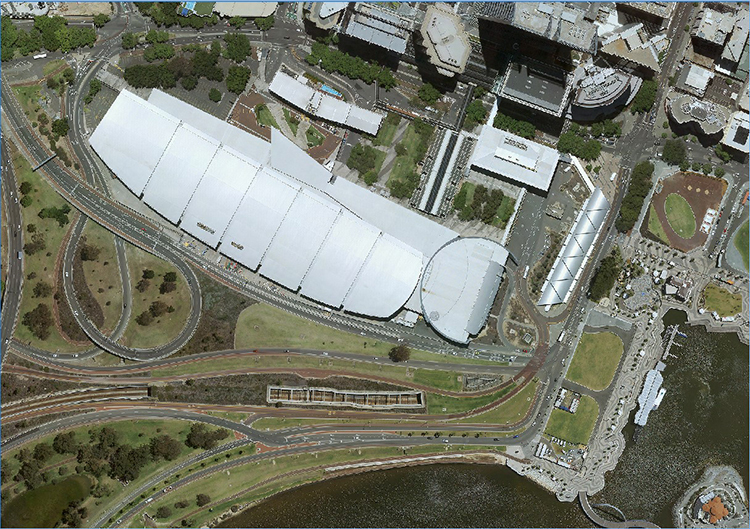 Slide over to 2017 to see the addition of the Perth Convention Centre. 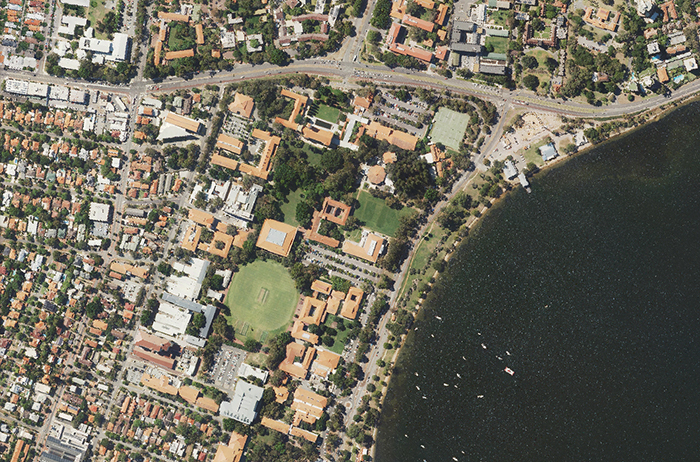 This week marks the 51st anniversary of the opening of Curtin University in Bentley, Western Australia. 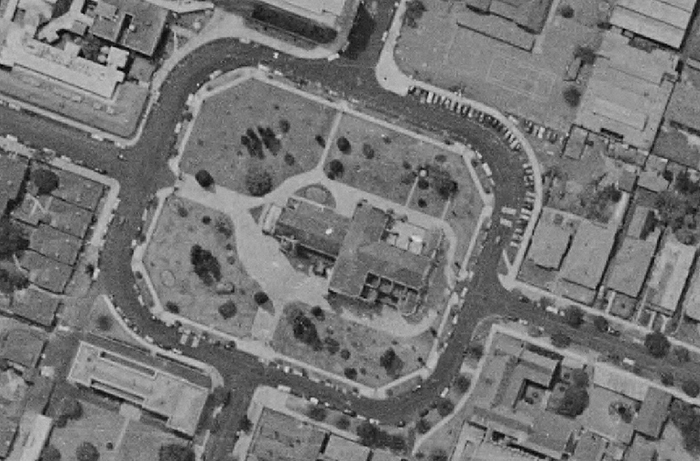 Actually finding a suitable location to build the new university (formerly the Western Australian Institute of Technology) proved difficult. 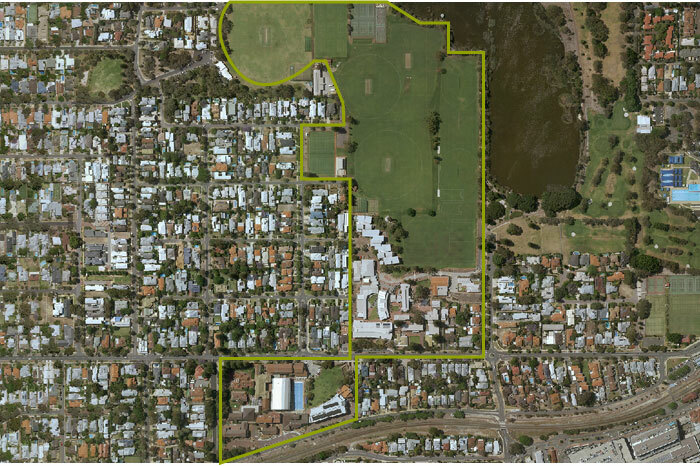 Various sites had been assessed and deemed unsuitable, especially those close to the city where land was at a premium. However, salvation arrived in the form of a bushfire south of Perth in 1957 that burnt through the Collier Pine Plantation in Bentley. This fortuitous event, coupled with the unsuitability of other potential sites, led to Bentley’s selection in 1962. 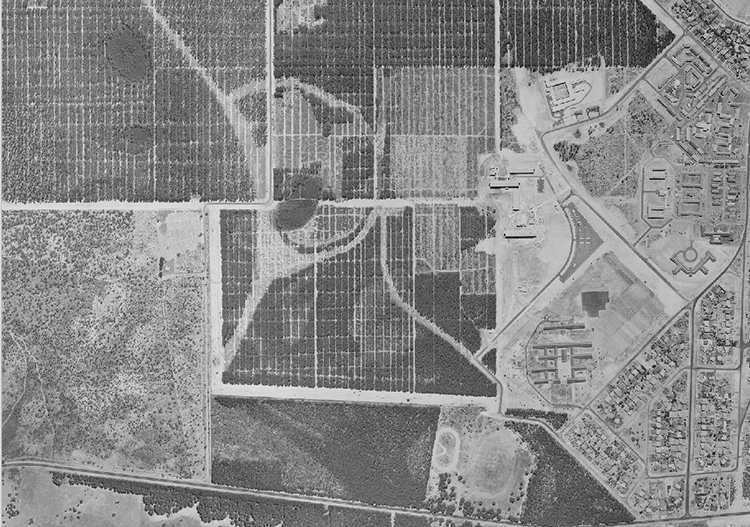 The black and white aerial photograph shows the site during the closing stages of construction in 1965. Perth farewelled its tram network in July 1958 after trundling 115 million miles and shuttling 1.1 million passengers through its streets. As tram no. 66 ran down route 18 for the last time on 17 July 1958, WA became the first Australian state to dispense entirely of trams. 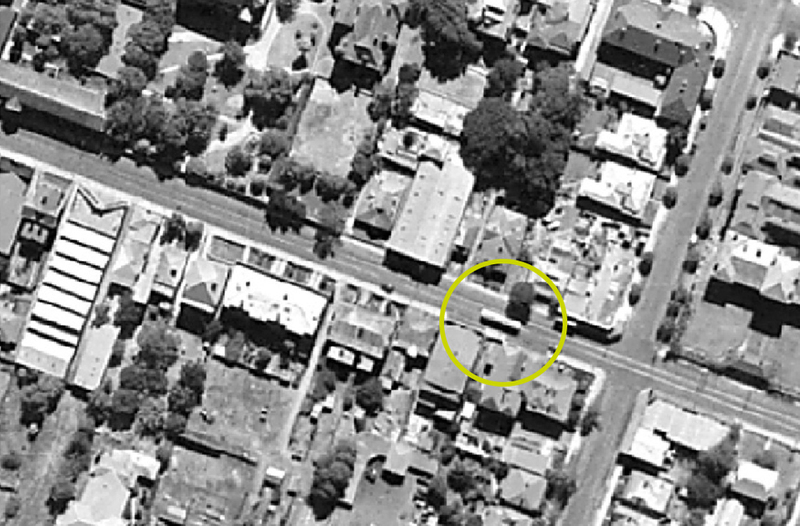 The aerial photograph from 1948 shows a tram heading west on a line which ran 4.6km from East Perth, along Hay Street to Thomas Street in West Perth. The network served Perth from 1899 until 1958. By June 1913, Perth had 37 kms of tram lines and a fleet of 53 trams – operated by English company Perth Electric Tramways Ltd. Over time, and as the city’s population grew, the network expanded to ‘out laying’ suburbs such as Nedlands, South Perth Zoo, Maylands and Wembley. Some of those trams from the initial Perth network and now preserved at the heritage tramway in Whiteman Park in Caversham. Parliament House in Perth opened on this day in 1904. 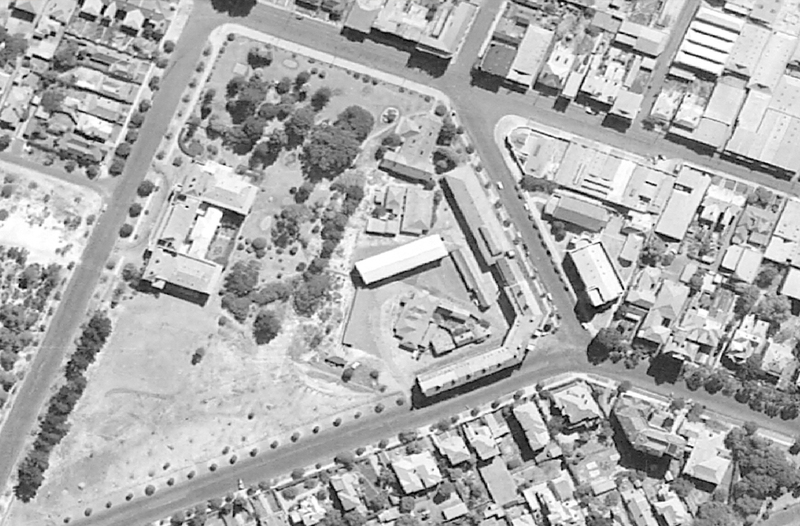 The eastern wing was constructed between 1958 and 1964.The arch from the original barracks, demolished in 1966, can be seen on the eastern side of the Mitchell Freeway, which now flows through where the barracks once stood. This week marks the 35th anniversary of the opening of the Mt Henry Bridge, constructed as part of the extension of the Kwinana Freeway in 1982. 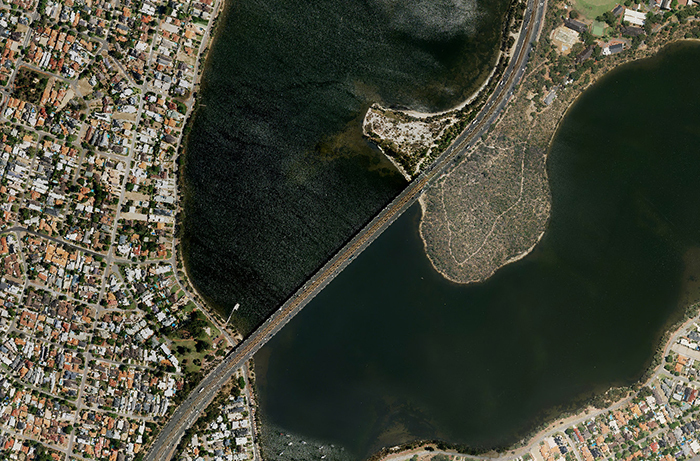 At 660 metres, it is the longest road bridge in Western Australia. 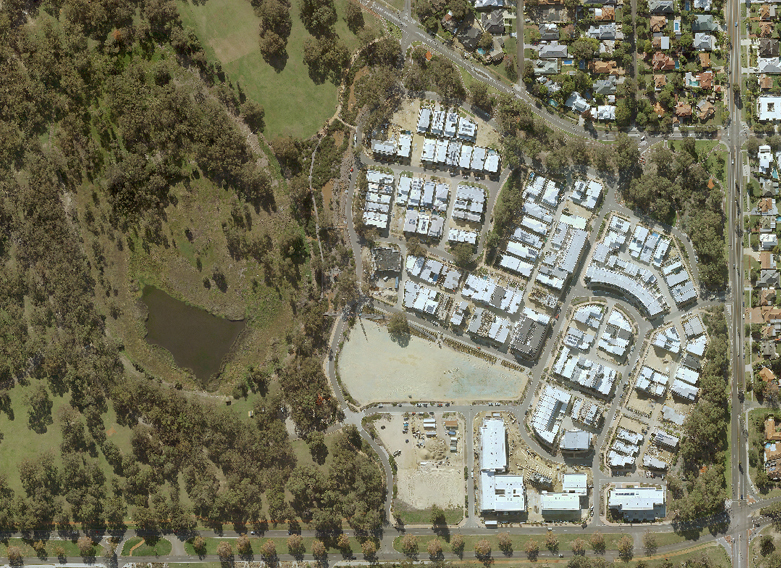 Building commenced in 1929 on the 51-hectare site in Crawley, just west of Perth. The majestic, Mediterranean-style Winthrop Hall with its striking clock tower, Hackett Hall and administration buildings were completed in 1932. 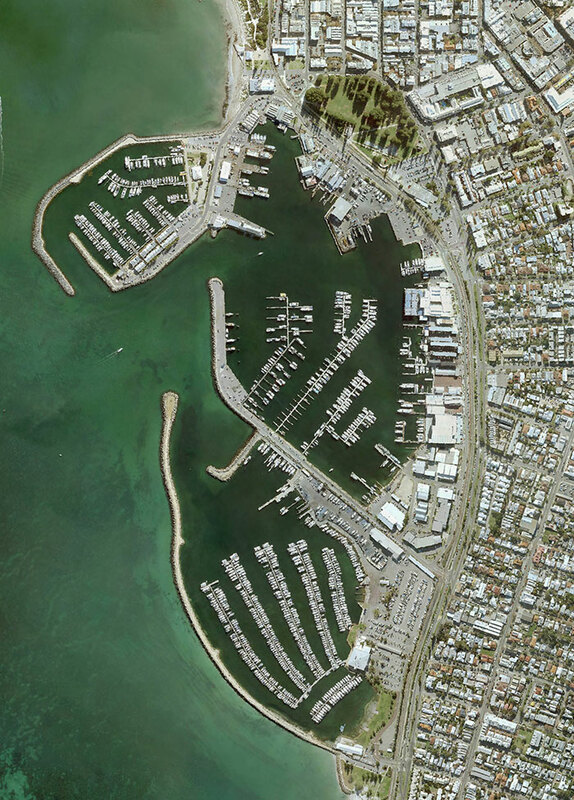 This week we celebrate the 30th anniversary of the America’s Cup challenge taking place in Fremantle. It was the first time in the cup’s 132 year history that it had been defended outside of America and although Australia didn’t hold on to it, the event put Fremantle on the world stage. Locally it led to WA ‘Home of the America’s Cup’ vehicle registration plates, changes in liquor laws and a cool theme song that used the words down under, Vegemite and chunder. 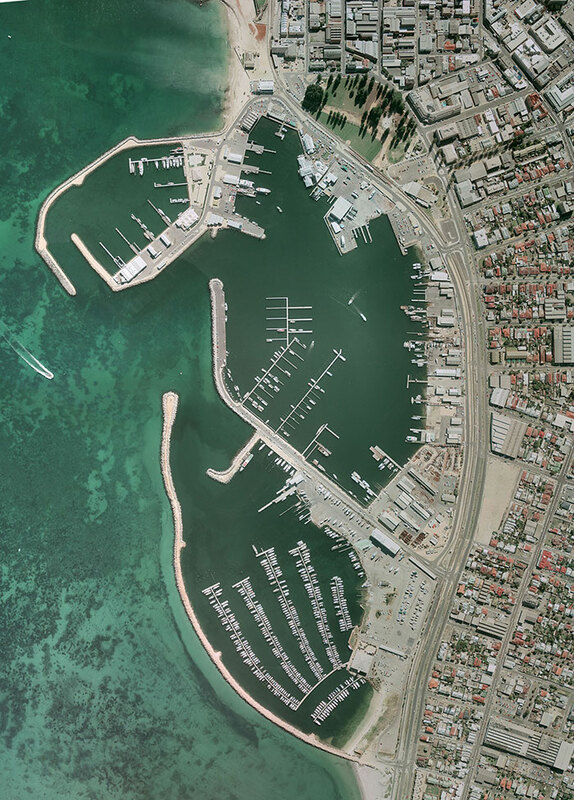 Using Landgate aerial imagery we’ve sailed back to 1987 when the Prime Minister called bosses bums and Fremantle was in cup mode. 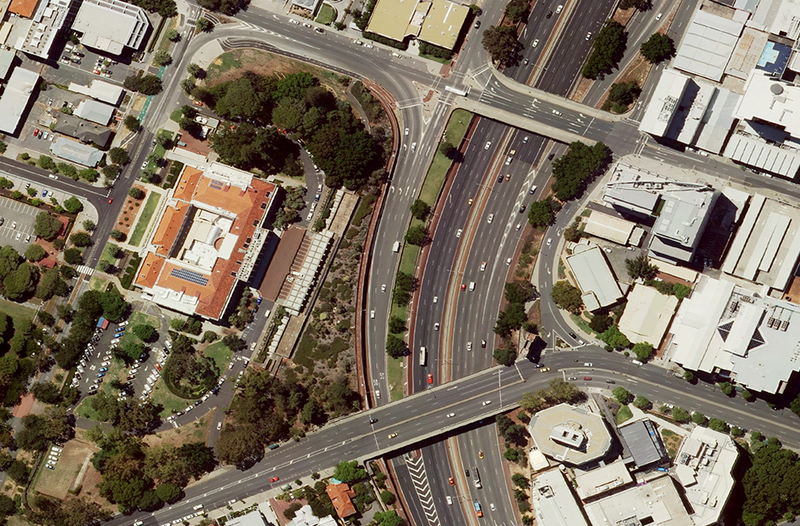 Slide over to now to see how Fremantle has grown over the past 30 years. Howzat! The first Test Match of 2016 kicks off today at the WACA. This week we bowl over to 1970 when the first ever Test Match was held at the WACA between Australia and England. 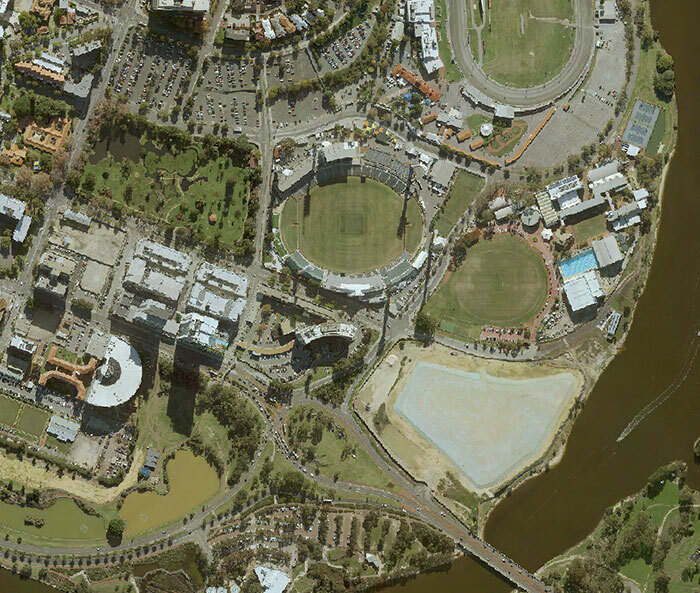 Slide over to now to see all the stands in place around the ground and all the other changes around East Perth. Two for twenty two. 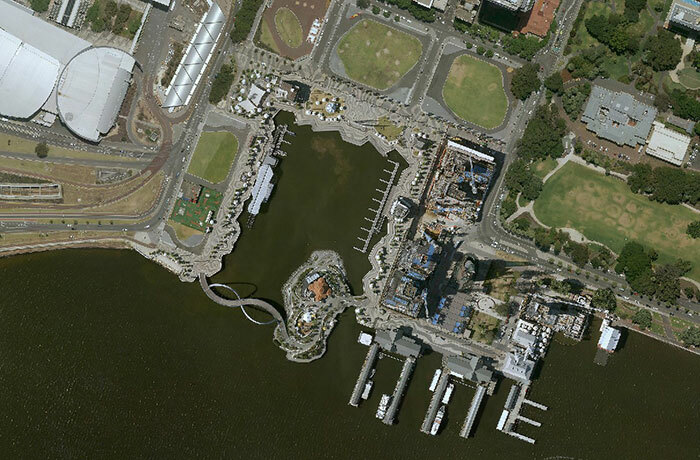 This week we are focusing on Elizabeth Quay where an alien spider will be landing tomorrow. 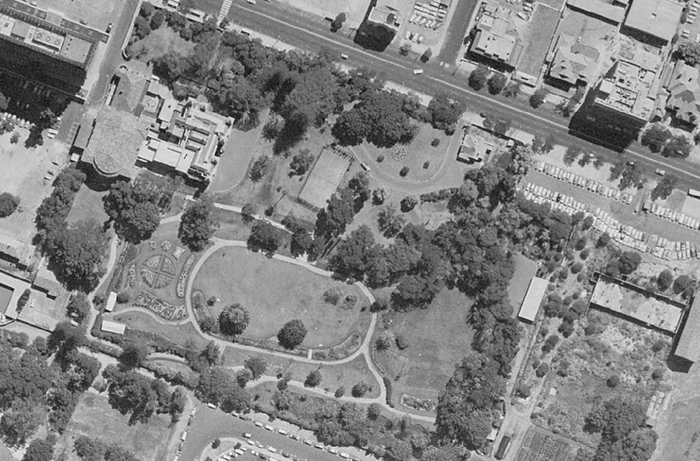 We’ve taken a look at our latest aerial imagery and haven’t been able to see Arcadia yet, in fact if we go back to 1948 we can’t even find Elizabeth Quay. Build a bridge and get over it. That’s what Perth did 57 years ago with the opening of the Narrow’s Bridge linking North and South. 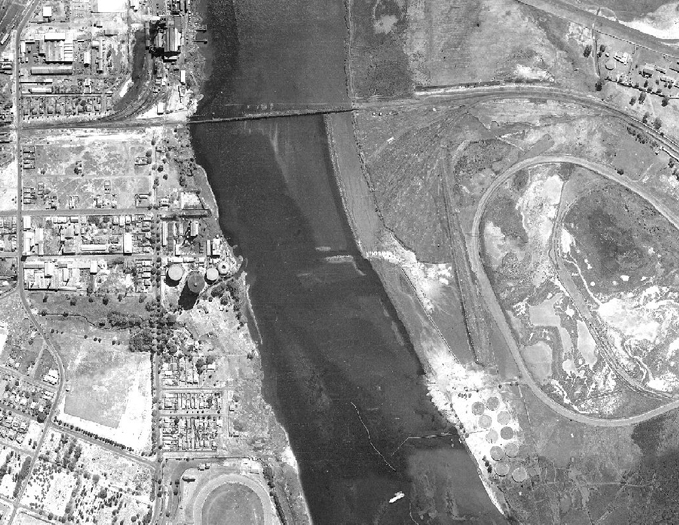 Zoom in a few months before the 1959 opening with the roads to the bridge still to be completed. 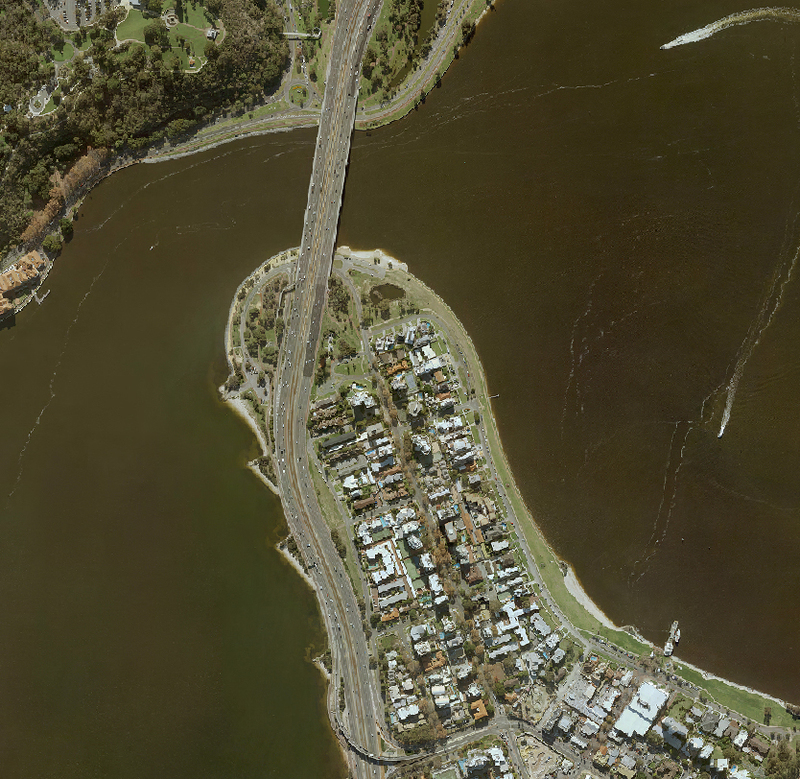 Slide over to now to see the addition of the Mitchell Freeway and the second road bridge for north bound traffic that opened in 2001. This Sunday marks 90 years since the Muresk Agricultural College was officially opened. 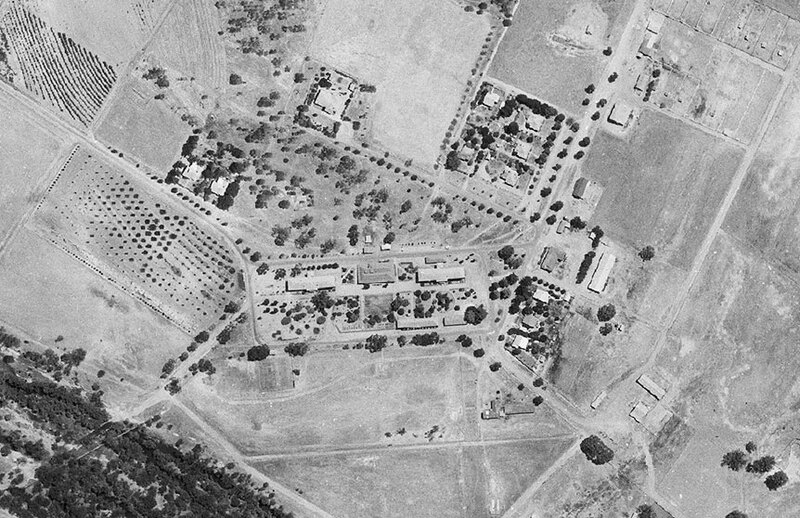 To celebrate this milestone, we’ve gone into the archives for a 1960’s birds eye view of life on the collage land. Slide over to now to see how it’s grown over the last five decades. 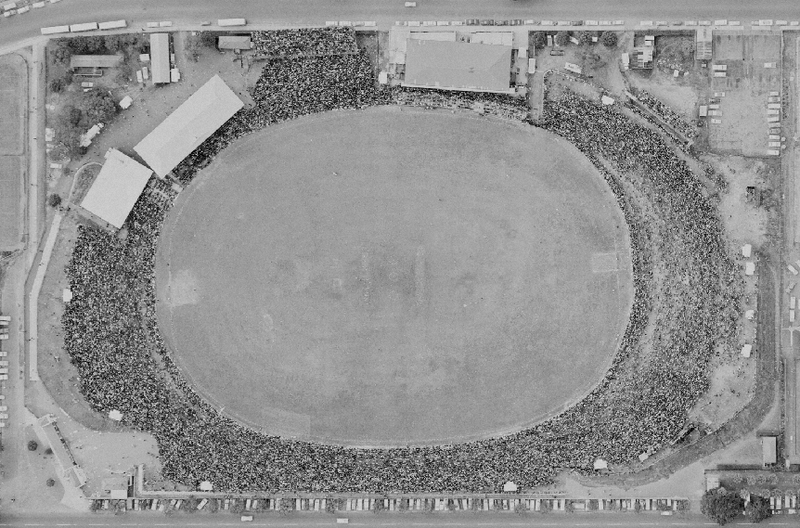 Look back to Saturday 10 October 1964 where a crowd of more than 45,000 cheered on East Fremantle and Claremont as they battled it out to see who would win the 1964 WAFL Grand Final. In a close finish, Claremont was victorious, beating East Fremantle by 4 points (98 v 102). 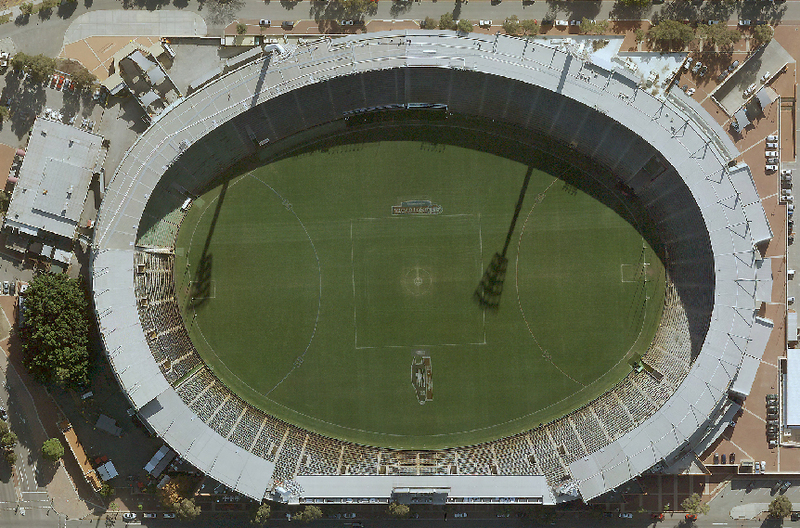 Slide over to see the stadium as it is now, ready for a new crowd to cheer on Peel and Subiaco. It won’t be long before the footy is kicked around our brand new stadium. 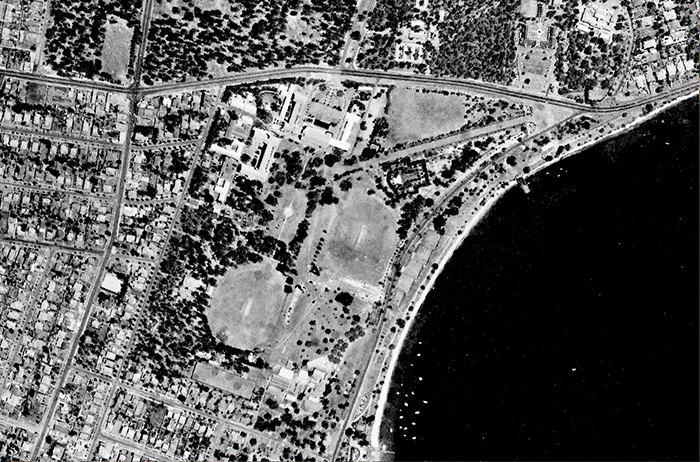 Slide over to 1948 to see Gloucester Park and Belmont Racecourse in East Perth but no stadium, Graham Farmer Freeway, Burswood golf course or Claisebrook Cove. 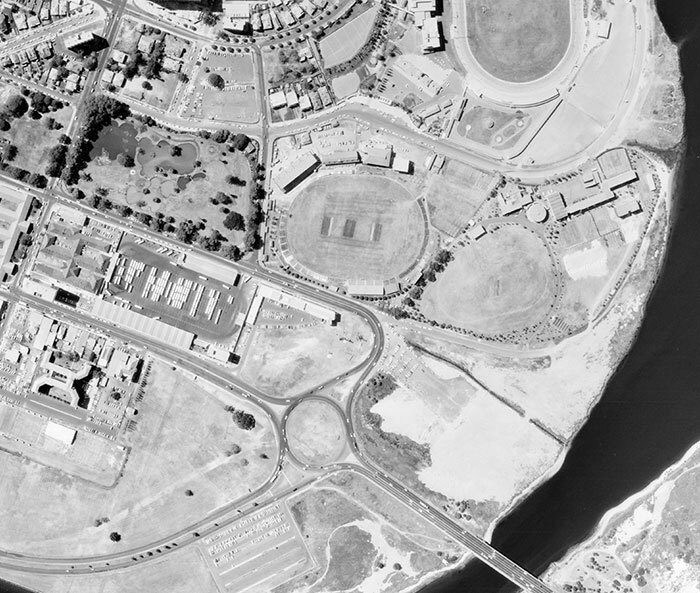 As we countdown to the 2018 Commonwealth Games on the Gold Coast, we look back on Perth’s experience as host city of the 1962 British Empire and Commonwealth Games. Zoom in to see Perry Lakes Stadium after the games and slide over to see how site looks now with only the score board remaining. 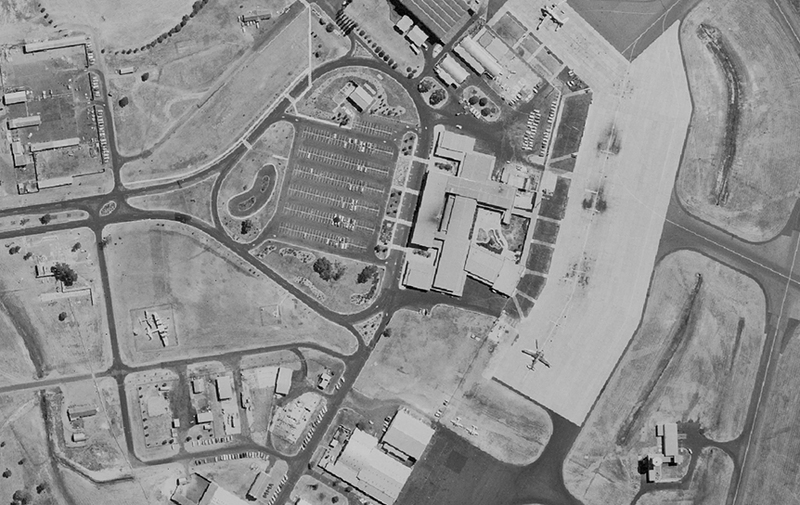 Take a flight down memory lane to Perth Airport in 1965 when there were black swans swimming in the car park pond and planes had propellers. 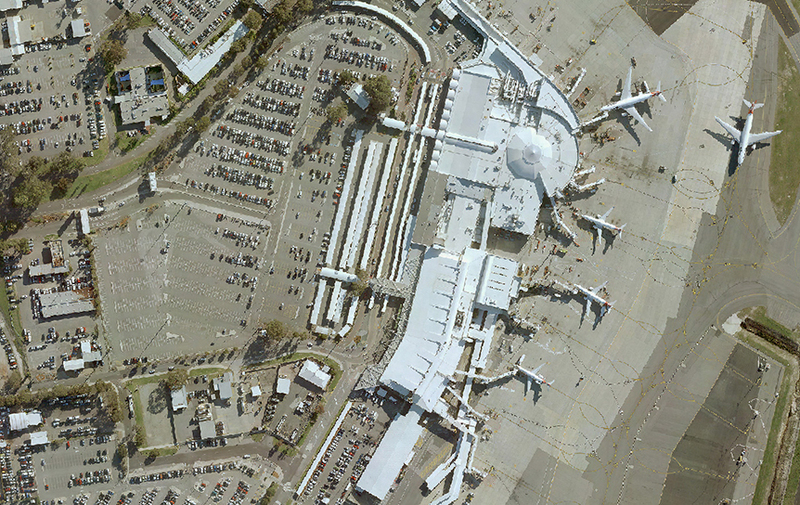 Slide over to 2016 to see how the airport and modern day planes have changed.